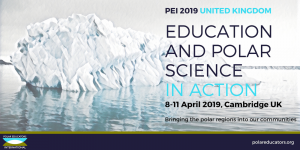 This week (8-11 April 2019), the 4th biennial workshop of Polar Educators International (PEI) will be held in Christ’s College Cambridge, UK. On Wednesday 10 April, INTERACT scientific coordinator Terry Callaghan will give a keynote speech “Building Bridges between Disciplines, Nations and Generations: The INTERACT Experience”. The full programme can be downloaded here.